The government is striving to implement additional laws governing franchises in the country. Indonesia’s tourism industry is beginning to show signs of fulfilling its immense potential. Indonesia’s restaurants and food franchise sector still promises a future of prospects as market trends remain positive. Future growth is expected to be driven by technology and innovation. Demand for hotel accommodation is set to rise significantly over the coming years as Indonesia continues to attract growing numbers of travellers from around the world. At the same time, Indonesians themselves are travelling around the country like never before. Indonesia’s retail sector is a patchwork of modern and traditional retail outlets with increased digitalisation accelerating the modern segment while also opening up opportunities to entrepreneurs and the traditional market. Indonesia's retail landscape is undergoing profound change as modern outlets increasingly replace wet markets and independent small shops. While fluctuating strongly from one month to another, retail sales have generally outperformed GDP growth in recent years with double-digit annual increases. 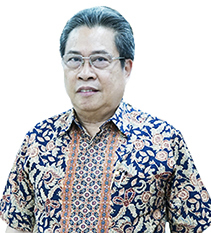 Indonesia’s parliament on 11th February 2014 passed into law the country’s first over-arching trade bill in a move that provides the government with the legislative foundation from which to exert greater control over exports and imports. Taking notice of the contribution and impact of the tourism and travel industry on the Indonesian economy, the current administration, through the now dedicated Ministry of Tourism, has begun to increase its effort to promote the country’s national tourism brand under the ‘Wonderful Indonesia’ campaign for the international market. Long known for the idyllic beaches of Bali; the rest of the Archipelago has yet to attract the tourism numbers that it deserves. This section looks at some of the obstacles holding back the tourism sector to date and reforms being undertaken to improve logistics and human resources. On course to achieve its target of a 10% increase in tourist arrivals in 2014, Indonesia’s tourism industry is beginning to show signs of fulfilling its immense potential. The country’s unique geography and the easing of foreign investment restrictions in particular present real opportunities to tap into the lucrative field of maritime tourism. On the 30th October 2013, Indonesia will host the 3rd annual Indonesia Halal Expo in Jakarta as part of a growing movement within the economy to embrace shariah compliant business opportunities. Main Areas: Hypermarkets, Supermarkets, Department Stores, Minimarkets, Speciality Stores. Relevant Law: Presidential Regulation No. 39 of 2014 on the Negative Investment List implies that foreign companies may only operate in retail spaces greater than 400 sqm for convenience stores, 1,200 sqm for supermarkets, and 2,000 sqm for department stores.